Our RV is tucked behind a sand dune hiding from the waves. At night I hear the ocean singing me a lullaby. I fall asleep with a smile on my lips. In the morning Trent looks for the sunrise in the east, rising from it’s baptism in the Atlantic. It’s magical to witness everyday beauty that is often shrouded from my view. 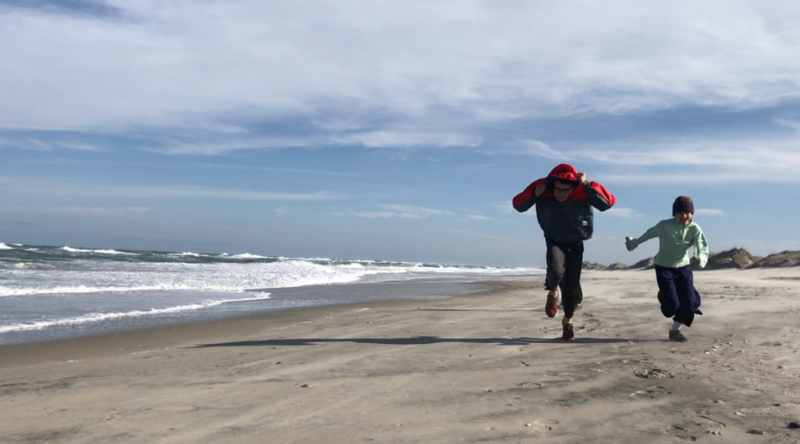 Ignoring the dipping temperature, our kids beg to chase the tide. In and out their little legs run, mimicking the sea. They often lose the race and we come home with sodden socks and shoes. 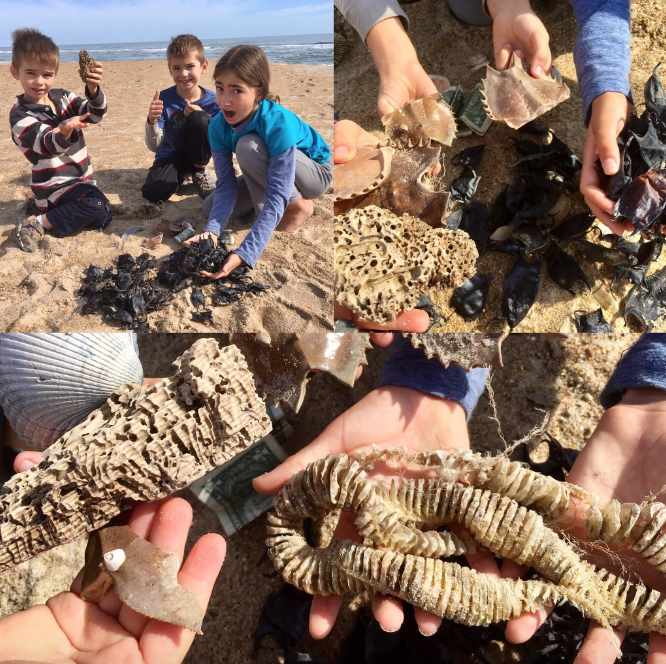 Their pockets are full of sand and they unveil new treasures: mermaid’s purses, whelk egg cases and crab exoskeletons. 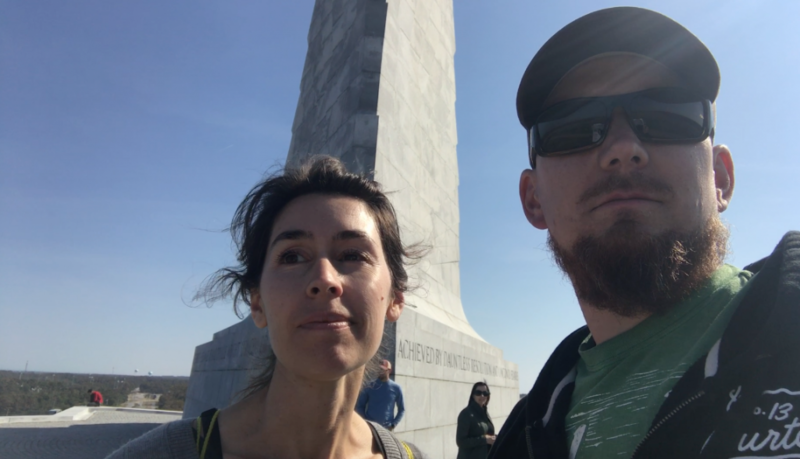 Just down the road we hike the same hill that Wilbur and Orville Wright trudged up over 1,000 times. While they brought a glider with them, we simply bring our admiration. The wind plays at our hair while the depth of determination displayed in this location tugs at our heart. Life changing history was formed on this land and the more we learn, the more we are changed as well. What great dreams have been planted in our own hearts? What will God do through us as we resist fear and continue stepping out in faith? I’ve learned history that surprised me (did you know there was a colony of English settlers before Jamestown that disappeared?). I’ve heard stories of pirates and rum so strong that it could kill the devil himself. There are lighthouses dotting the edge of land, sentinels protecting explorers from demise. This place, like so many others, is outside my scope of typical. I find myself wrapped in wonder and feeding on fascination. As we continue up the coast, I hang on to the promises of my consistent Creator. He’s trustworthy. truth. love. hope. 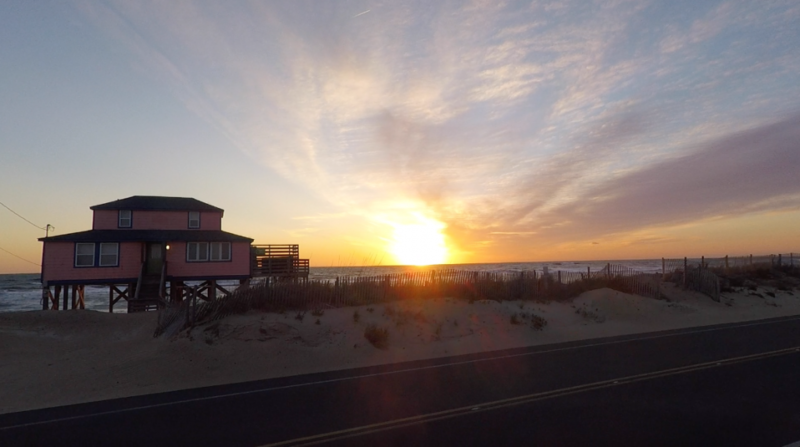 We stayed at the Kitty Hawk RV Park. It was $50 a night for 50 amp full hookups. Ask for site #1, it is the only site that will give you a view of the ocean from your RV (there is a sand dune partially blocking your view). 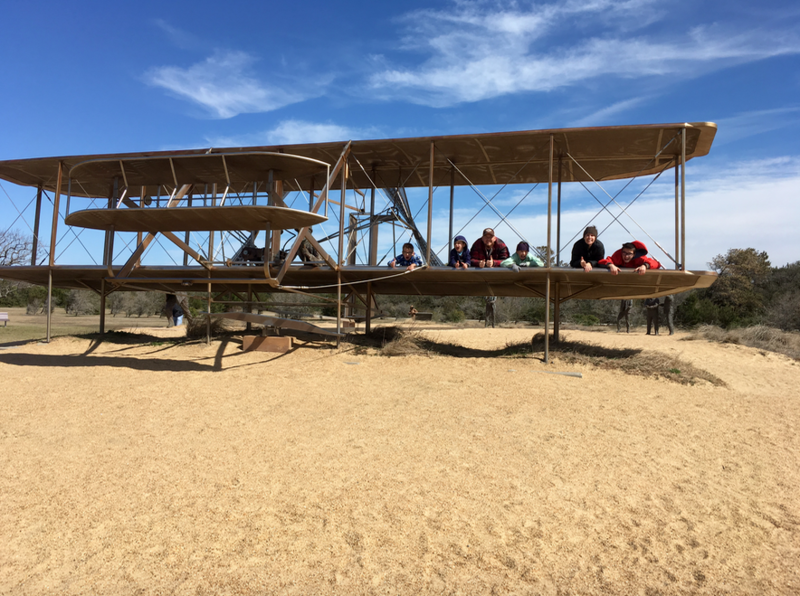 The Wright Brothers National Memorial Park is just minutes down the road and is free if you have a National Parks pass. Their Jr. Ranger badges are wooden which our kids love. Hunter sold his on eBay within 15 minutes of listing it for $9.50 (true story). 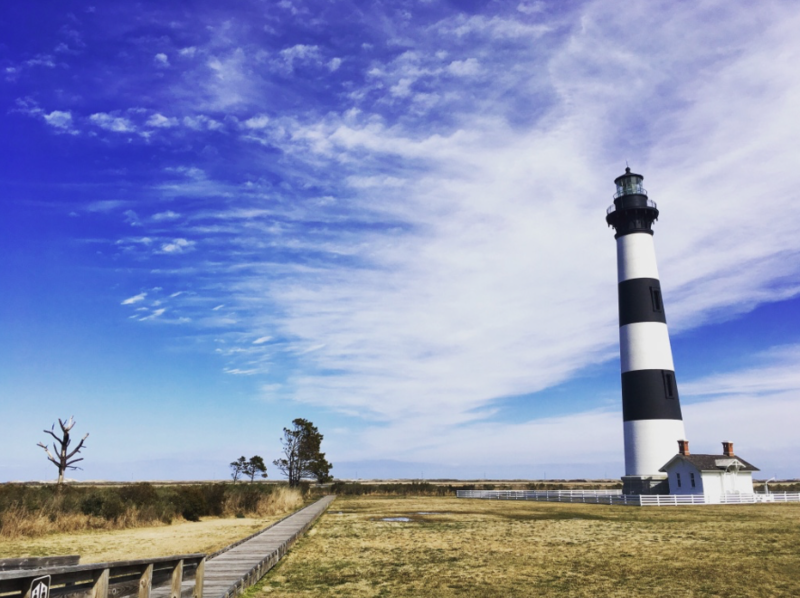 The Lost Colony National Park is about 30 minutes away and is free for everyone. I am told that the lighthouses that dot the coastline are all in operation at night. Some can be toured for a fee but it was still to early in the season while we were there and they were closed. Do not miss Jockey Ridge State Park. We discovered this place by mistake and loved it so much I had to dedicate a separate blog post for it. Our kids were begging us to stay one additional day so we could go back and spend more time there. Its also free! 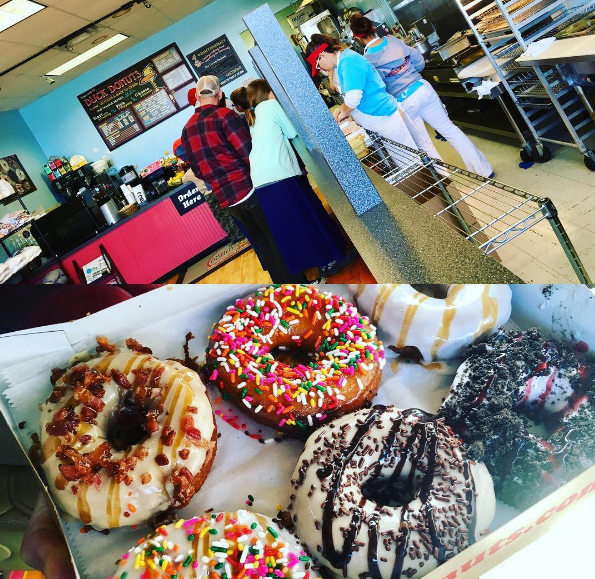 And finally, if you like donuts, check out Duck Donuts. 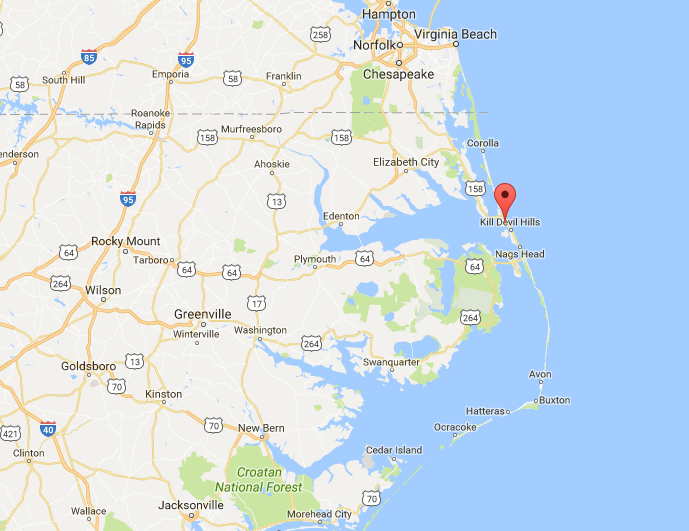 This chain started in Kitty Hawk and now dots the east coast. Their donuts are custom and made-to-order hoops of cakey warmness. Our humble opinion is that the maple bacon (shown in the upper left of the box below) is the best of all. P.S. For those of you who may be wondering, our before mentioned tire blowout was fixed within a few hours and after a trip to the Chevy dealer our truck is also running smoothly once again. This is beautiful! I love your connecting it all to the Truth, Jesus, who makes it all possible! Thank you Jenifer for your kind words. I love hearing from readers. I love that you’re doing this dream. Every time I read a post I get re-excited for all of you. Every time. I love having a friend like you and I get excited each time I read your comments. Every time.